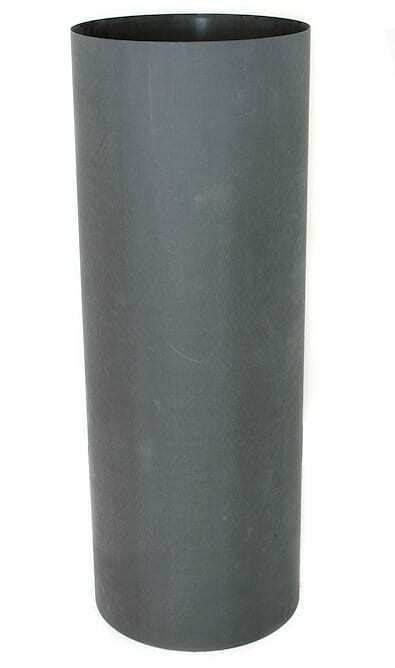 For several years, Element 6 Composites has supplied customers with custom carbon fiber tubes. 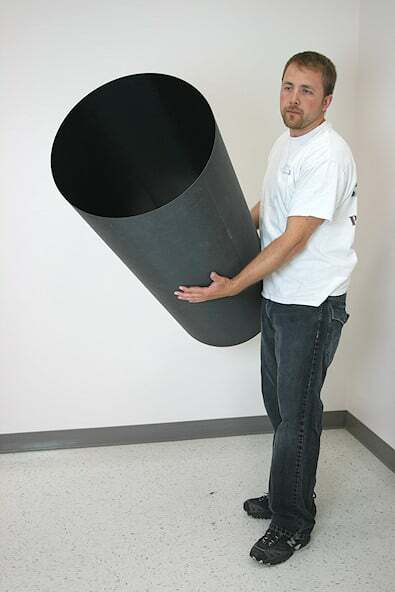 Depending on the application, sizes have ranged from smaller 6 and 8 inch tubes to ones greater than 40 inches. Our current manufacturing processes allow the fabrication of custom carbon fiber tubes up to 48 inches in diameter. 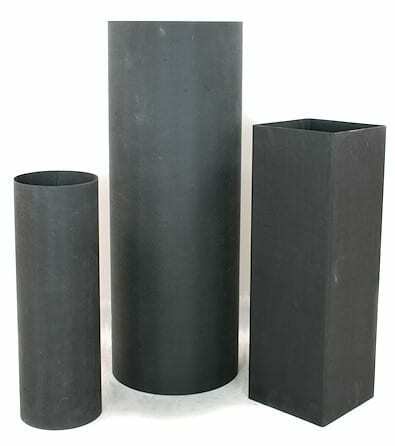 These small and large diameter carbon fiber tubes offer great versatility, both in material selection and layup schedule. Typical reinforcement materials include carbon fiber, fiberglass, and aramid fibers. In addition, core materials can be added between the high strength skins, creating a sandwich structure. Many of the materials available for flat plate sandwich cores can also be used when producing sandwich core walls for custom tubes, with the most common examples being honeycomb and thermoformable form. Each custom carbon fiber tube construction method has specific advantages: pure laminate composite tubes result in thin walls that retain the mechanical, thermal, and electrical properties of the fiber, while sandwich core walls provide a lightweight means to increase local wall stiffness. Given the wide variety of choices available for small and large diameter carbon fiber tubes, the selection of materials and layup schedule often come from the project requirements. A good example is telescopes, where the low thermal expansion of solid or sandwich core carbon fiber tubes provides substantial improvements over metal tubes, thus offering the astronomer more reliability with temperature change. Another example is the fabrication of radomes, which often use solid fiberglass or foam filled fiberglass sandwich construction. A third example is in the creation of high quality drums, where the material and layup direction can be optimized for both resonances and acoustic damping. One final example is for pressure vessels, which require thicker walls with adequate resistance to the high hoop stresses present in these applications. Regardless of the application, the engineers at Element 6 Composites would be more than happy to discuss your specific application and how we may be able to help. 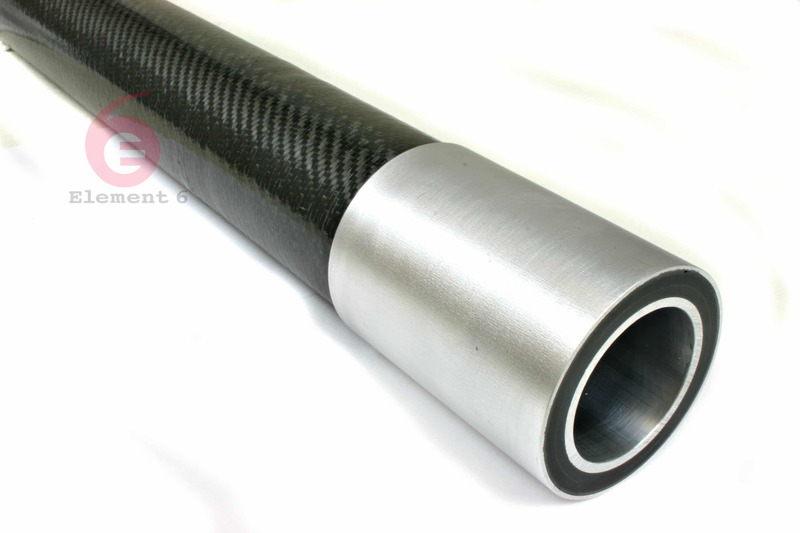 We look forward to helping you develop a custom carbon fiber tube for your upcoming project’s needs.